Supergreens are a special sub-category of superfood that are by definition rich in fibre, vitamins, minerals, phytonutrients and antioxidants, and were until relatively recently predominantly popular with vegetarians, vegans or those on a raw food diet. However, growing numbers of us are becoming increasingly aware of the importance of healthy eating, and more and more of us are switching on to the extraordinary benefits that can be enjoyed from eating superfoods, and especially supergreens, on a regular basis. Indeed, considerable research suggests that the consumption of generous quantities of supergreens can actively decrease our risk of obesity and chronic diseases, such as cancer and diabetes. Supergreens, which are immediately recognisable by their hallmark green colour, are actually nothing new – the class includes several well-known vegetables that can be purchased from local supermarkets such as kale, chard, broccoli and rocket, in addition to a large range of powerful supergreen supplements, including organic spirulina powder, organic chlorella powder, organic barley grass powder and organic wheatgrass powder, all of which are available from reputable health food stores. Organic wheatgrass powder is such a nutritionally complete and impressive supergreen that it particularly warrants closer inspection. 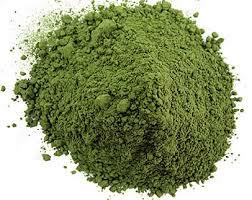 What is organic wheatgrass powder? Wheatgrass has been used for over 5000 years – it was prized by the ancient Egyptians for example, who believed the leaves to be sacred and have a positive influence on health and vitality. Yet it wasn’t until the 1930’s that the supergreen began to receive attention in the Western world after American scientist, Charles F. Schnabel, conducted a number of experiments on wheatgrass and publicly extolled its many virtues, claiming that just 100 grams of wheatgrass powder had the same nutritional value as 2.3 pounds of raw vegetables. Known by many as ‘the king of all grain foods’, the myriad benefits of organic wheatgrass powder are now backed by considerable scientific analysis, which suggests that grass grown from wheat (Triticum aestivum) is a complete food source capable of sustaining life in a healthy way. Organic wheatgrass powder is made from the freshly squeezed shoots of the wheat plant – the juice that results is then dried at extremely low temperatures in order to retain an optimal number of its beneficial nutrients. 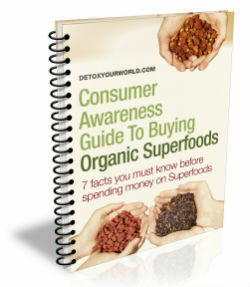 Below are seven superb reasons for incorporating this superstar supergreen into your daily diet. And the very fact that organic wheatgrass powder is so nutritionally dense, means that you can now receive your recommended 5+ daily serving of vegetables in just one smoothie, shake or juice containing the supergreen supplement. Wheatgrass consists of approximately 70 per cent chlorophyll – according to Illinois State University professor, Kent Seymour, it is one of the best ways to obtain living chlorophyll. Chlorophyll is the molecule that absorbs sunlight and uses the resulting energy to manufacture carbohydrates from carbon dioxide and water in a process known as photosynthesis. The high chlorophyll content in organic wheatgrass powder strengthens cells and is extremely alkalising, which means that it can help your body to maintain a healthy pH balance, purify your blood and liver, prevent the growth of bacteria and expel damaging toxins. The American Journal of Surgery (1940) also recommends the use of chlorophyll for its potent antiseptic effect that can counteract infections and heal wounds. Your body is exposed to toxins on a daily basis, from both the food that you eat and the environment in which you live. This can cause a range of unpleasant symptoms, such as headaches, migraines, lethargy, skin conditions, allergies and menstrual pain. It can even lead to serious disease including obesity, arthritis, depression, heart disease and cancer. The World Health Organization estimates that around 25 percent of all deaths in the developing world are directly attributable to environmental factors and some researchers think that pollution is responsible for up to 40 percent of global deaths annually. You can effectively cleanse and detox your body by enjoying a selection of foods, which are rich in the nutrients that specifically encourage the removal of harmful chemicals, metabolic waste and other toxins from your blood, tissue, organs and fat cells. This prevents them from being stored in your liver where they can build up and cause the type of imbalance that leads to disease. Thanks to its incredibly high chlorophyll content, organic wheatgrass powder enjoys an enviable reputation for its ability to detox. In fact, recent animal studies demonstrate that wheatgrass consumption positively reduces the absorption of a number of extremely hazardous carcinogens, whilst simultaneously strengthening cells, detoxifying the liver and neutralising polluting elements within the blood. Your immune system is one of the most complex systems in your body – it protects you against infection and disease by counteracting and removing pathogens (including bacteria, viruses, fungi, parasites and toxins), neutralising harmful substances in your environment, and combatting any cells that may have changed due to illnesses, such as cancer. There are a number of ways to strengthen your immune system, including obtaining sufficient sleep to allow your immune organs (tonsils, sinus and lymph glands) to regenerate, learning to relax (stress lowers immune antibodies), taking plenty of exercise to improve lymphatic function, giving up smoking, which reduces your risk of infection, and adding a range of nutrient-dense foods known for their immune boosting qualities to your diet. Organic wheatgrass powder is an anti-bacterial superfood that can help to alkalise and detox both your lymph glands and blood cells, thus allowing your body to remove toxins more quickly and efficiently. It also aids in the manufacture of red blood cells, which increases oxygenation and helps to protect against the damaging effects of smog, carbon monoxide and other known environmental pollutants. In addition, organic wheatgrass powder can help to combat a number of chronic diseases including anaemia, sickle cell anaemia, leukaemia, cancer, diabetes, arthritis, ulcers and arthritis. A trial conducted by the Memorial Sloan Kettering Cancer Center in the US, proved that wheatgrass juice therapy demonstrably reduces rectal bleeding and overall disease activity in patients with ulcerative colitis. Organic wheatgrass powder is an excellent source of fibre, which cleanses your intestines, regulates your bowel movements and helps you feel fuller for longer. Dietary fibre also delays your body’s absorption of glucose, ensuring that excess glucose is burnt as fuel, instead of being stored as fat. And the magnesium found in organic wheatgrass powder plays an important role in muscle function – as your digestive tract is essentially one long muscle, magnesium can provide effective relief from, and even prevent, constipation. The chlorophyll in organic wheatgrass powder is similar in structure to hemoglobin (a protein that carries oxygen around your body), which means that it can help to protect against inflammation, manufacture red blood cells and improve circulation. The chlorophyll in organic wheatgrass powder contains super-oxide dismutase (SOD), a copper-containing protein that is found in mature red blood cells. This enzyme breaks down the superoxide radicals in your body and helps to slow down the aging process, ultimately preventing the development of fine lines, wrinkles and grey hair. In addition SOD can help to lessen the effects of radiation and slow down cellular aging. Organic wheatgrass powder is an extremely versatile, gluten-free superfood supplement that can be enjoyed on a daily basis, providing that you choose for a high quality product (inferior wheatgrass products are sometimes allowed to mould, which can result in minor side effects, such as nausea). For optimum results stir organic wheatgrass powder into your favourite smoothies, juice and shakes or use as an additional nutrient-dense ingredient in your favourite rawfood snacks and meals. ← Cranberries – so much more than just a seasonal sweet treat! Holy crap, thanks so much for posting this! It is going to help when I buy wheatgrass online! Very Impressive! Cheap vaporizers are floating everywhere yet being pretty active about their quality and services. total foundation failure and structural collapse.